Today is May 4, meaning some wise guy has likely already said "May the fourth be with you" in an attempt to win you over with wordplay. But the force, indeed, is with all of us today as new photos have emerged from the set of J.J. Abrams' highly anticipated new Star Wars reboot. 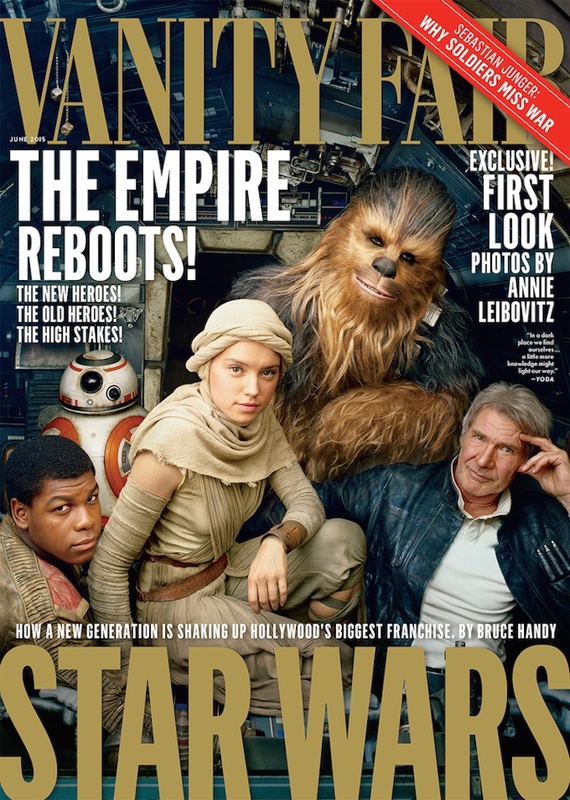 In addition to featuring Han Solo and Chewbacca on its cover alongside some John Boyega and Daisy Ridley, the June issue of Vanity Fair features some in-depth, behind-the-scenes photography from The Force Awakens. The photos, which arrive courtesy of Annie Liebovitz, have surfaced online today. These include shots of Adam Driver and Lupita Nyong'o, the latter of whom is in full motion capture gear. In addition, the issue reveals that J.J. Abrams considered killing off another J.J., suggesting he considered showcasing the skeleton of a dead Jar Jar Binks in the new reboot. Check out the full gallery of images below, along with some behind-the-scenes footage from the issue's cover shoot. Star Wars: The Force Awakens will arrive on December 18.